Despite their boastful claims of being opposed to terrorism, the United States and its European cronies have long been the staunch supporters of criminal organizations such as MKO which has brutally slaughtered hundreds of Iranians during the 8-year war with Iraq and introduced itself as a murderous terrorist entity and the number one enemy of the Iranian nation. 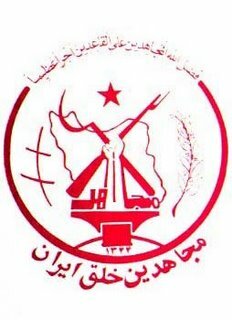 Ironically, the United States that launched a self-proclaimed War on Terror following the 9/11 attacks under the pretext of combating terrorism and eradicating fundamentalism and extremism in the world has been a safe haven for the members of Mojahedin-e Khalq Organization which has been responsible for the killing of hundreds of innocent civilians during its years of existence. The overt and ostentatious relationship of MKO with the United States and European countries, especially over the recent years has been always a source of disappointment and regret for the Iranian people and the families of the victims of MKO terror attacks in the 1980s. The West’s financial and political support for MKO has been frequently protested and condemned by the Iranian officials and even conscious, independent Western thinkers who are aware of the nature of MKO’s brutal and atrocious activities; however, the US and its EU friends have never heeded these calls and prolonged their support for MKO and other anti-Iran terrorist organizations such as PJAK and Jundallah. To the utmost surprise of Iran and the international community, the European Parliament removed MKO’s name from its blacklist of terrorist organizations in 2009 and subsequently asked the US Congress to do the same and take MKO off its list. An article published by The Financial Times reported on Friday that MKO has been lobbying and paying dozens of former political officials to achieve this goal. Since 2009, frequent efforts have been made in the US by the pro-Israeli lobbies and anti-Iranian activists and congressmen to remove MKO from the list of terrorist organizations, thus facilitating the enhancement of ties with this criminal gang. In 2008 and during the final days of the George W. Bush administration, the high-ranking officials of the MKO launched a campaign to persuade the US government to remove their name from the list of Foreign Terrorist Organizations. The US government rejected the request after investigating the materials and documents submitted by the MKO; however, in July of the same year, a US federal appeals court ordered the US Department of State to reconsider its decision. The State Department announced that it would consider the chances of taking MKO off the list of terrorist organizations; however, it further added that it continues to consider MKO as a terrorist organization. However, at a conference in Washington on February 20 that was organized by a group called Executive Action, several American officials urged President Barack Obama and Secretary of State Hillary Clinton to remove the MKO from the list of Foreign Terrorist Organizations. Lee H. Hamilton, a member of the US Homeland Security Advisory Council who had once chaired the House Foreign Affairs Committee and served as vice chairman of the 9/11 Commission, Ambassador at Large Dell L. Dailey who was the head of the State Department’s counterterrorism office from July 2007 to April 2009, General Michael Hayden, a former CIA director, Former Attorney General Michael Mukasey, former New Mexico Governor Bill Richardson and former Under Secretary of Defense for Policy Walter B. Slocombe were among the officials who attended the conference and supported the calls for the removal of MKO’s name from the list of terrorist organizations. MKO hopes to build up pressure on the Iranian nation with the unconditional support of the United States and Europe and destabilize the government by carrying out terrorist activities, assassinating politicians and scientists and funding anti-Iranian NGOs. Over the recent years, MKO claimed responsibility for the killing of a number of IRGC commanders and soldiers, Iranian nuclear scientists and politicians. This clearly demonstrates that MKO is an all-out terrorist organization, but it’s actively and furtively lobbying to gain recognition as a legitimate opposition group. According to a report titled “The Foolish Embrace of the MEK (another label for the MKO)” written by Daniel Larison and published by The American Conservative magazine, since early January 2011, the MKO has spent millions of dollars on lobbyists, Public Relations agents and communications firms to build up pressure on US Secretary of State Hillary Clinton to take the group off the terrorist list, alleging that the MKO has rejected violence and terrorism in 2001 and as a result should be de-listed. The report unveiled that many high-ranking of the Bush and Obama administration are “bizarrely” enthusiastic to embrace MKO and support it, because this terrorist organization is opposed to the Islamic Republic of Iran and wants to derail its security and stability. It’s also said that MKO maintains close ties with the Israeli regime. The members of MKO regularly attend AIPAC meetings. In fact, the MKO has intensive and very direct cooperation with the Iran Policy Committee, a subordinate of AIPAC. In a 2009 article published by Asia Times, it was unveiled that there are regular media reports which allude to direct Israel-MKO ties. However, the previously secret ties of MKO with the West and Israel have become publicly known and everybody knows that this terrorist organization is being funded, supported and backed by the West and Israel. The West’s support for MKO and other anti-Iran terrorist organizations is a clear exercise of double standards by those who call themselves the pioneers of human rights and supporters of global peace. With their blatant and flagrant support of MKO, the Western states demonstrate the futility of their claims and the duplicity of their policies and actions.